Do you carry Levolor blinds? Yes we do carry the brand Levolor Blinds! 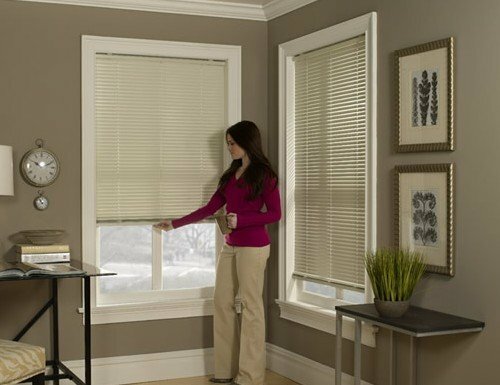 Levolor introduced the original mini blind in 1914 and has become synonymous with quality, style, and innovative design in mini-blinds. Levolor is actually a brand but is sometimes used to reference mini blinds as a whole, similar to the way Kleenex is used for tissue. 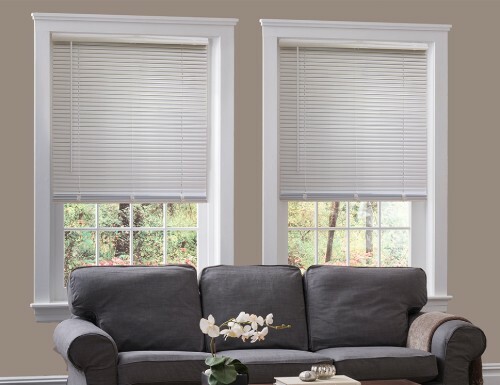 Blinds Chalet offers a wide selection of mini blinds and other window coverings. 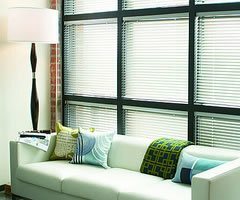 If you are looking specifically for the Levolor brand we do offer Levolor in aluminum mini blinds but we also carry other types window blinds. Levolor also manufacturers more than just aluminum blinds such as roman shades and honeycomb shades although they are most know for their original product. 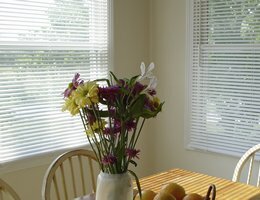 Mini blinds as well is a term sometimes used to reference window blinds as a whole. 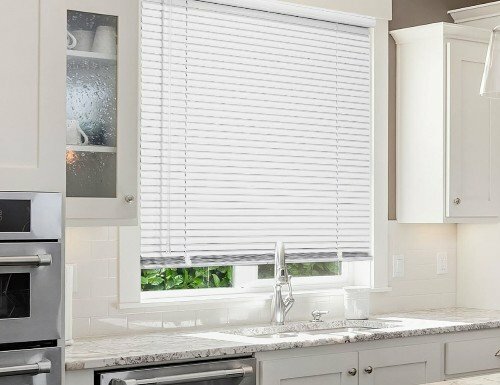 Mini blinds are typically aluminum blinds but can also reference other horizontal blinds such as faux wood blinds and real wood blinds. Blinds Chalet offers top quality mini blinds at discount prices. Shop online and get free shipping with each order and save!